Noakes gave advice to a mother without knowing the medical history or even age of her baby, former Association for Dietetic in SA president Claire Strydom has told the HPCSA. The hearing will continue on Tuesday. What are your feelings on the low carb, high fat diet for children (also popularly known as banting). Let us know your thoughts on how banting has affected your children, and we'll add them to these updates. And the matter has again been adjourned. It will resume at 10:00 tomorrow (Tuesday). Oh, and these are the biscuits being served at the hearing. They look really yummy. His advice to stop breastfeeding is unconventional and not in keeping with pediatric nutritional guidelines, Strydom says. Noakes gave advice without knowing the medical history or even age of the baby, Strydom said. She stands firm that the prof's tweet was incorrect. Strydom, is a registered dietitian and has been practicing for 11 years. She said she had asked Noakes to not give advice on infant nutrition and argued that caution must be taken when responding to inquiries via social media. Skype testimony of Canadian Prof Stephen Cunnane will be allowed, it was decided earlier. Strydom however, has not been named as an expert, and Noakes's team objects. At an event at the Gallagher conference centre last year, Noakes - a guest speaker - made similar comments to that in the tweet, resulting in complaints from dietitians who had been in attendance, Strydom said, These were reportedly described as inaccurate, reports Tammy Petersen. The Tim Noakes HPCSA hearing has restarted, reports News24's Tammy Petersen. President of the Association for Dietetics in South Africa (ADSA) Claire Strydom, who lodged the complaint, is now testifying. According to her letter, she said his tweet was not evidence based and asked for urgent action as he is a "celebrity in South Africa". “I put my 9-year-old on banting food for two weeks prior to and during her exam time. The change was incredible. She had sustained energy, never complained of tummy ache, and wasn't hungry all the time. She also slept better and showed consistent stamina. Above all, she never craved or asked for sweets or sugary food. I have since started banting myself, have lost 3kgs in 2 weeks and feeling much, much better, since I have Rheumatoid Arthritis. This is the best way of eating, a real food revolution! The proof is in the pudding, the high fat, low carb pudding!” says Suzanne. “I think the dietetics council was correct to ask for this hearing. Let me firstly say that I am a mom with a baby of weaning age. Secondly, I am an anaesthesiologist so have an extensive scientific background. Noakes is correct in saying that breastmilk is high in fat, but has left out several important bits of information. Breastmilk is LOW in protein and HIGH in sugar (specifically lactose). This is nature's way of supplying energy for all that growth. As such the idea of weaning my child onto a low carb diet is ludicrous. He will be getting butternut and sweet potato and gem squash. All of which contain significant amounts of carbohydrates. He will only be receiving protein over the age of 6 months when his system can handle it, and then in small amounts while checking for allergic reactions. Noakes, banting is not a one size fits all. We all each have a different set of genes and respond to diets differently. And it is certainly not the way to wean a baby,” says Caroline. The Tim Noakes HPCSA hearing will reconvene at 15:00.
Who is Caryn Zinn and how can she defend Noakes? The HPCSA hearing breaks until 15:00 to allow the commission to peruse documents handed to them this morning. “In response to your negative comments as usual, I under medical supervision, with regular blood test monitoring key markers, I started a Banting lifestyle and have been overwhelmed by the positive results, losing up-to 18kgs to date!” says Gilbert. “I have been on a low carb, high fat diet since November 2014. I can proudly say that it worked for me because by March this year I lost 11kg from 82kg to 71kg, and I'm still maintaining it. I have been doing my checkups for cholesterol and diabetes and I'm healthy. I thank Dr Noakes for the eye-opening solution,” says Thembi. “I have been banting for a year and I love it! Have lost 10kg and are (sic) feeling great,” says Lin. "I have been on the diet for 4 months and am loving it. My husband is diabetic and has also been following the banting diet. He has stopped injecting himself with insulin completely and his blood pressure has normalized. If banting is so bad, why so many good results? I also have never felt healthier and fitter. Thank you Tim Noakes," says Tania. The Health Professions Council of SA is in for a major overhaul, following a probe that found the body failed in executing its core functions, says Health Minister Dr Aaron Motsoaledi. They continue to argue the merits of using a video interview for evidence. A practical demonstration on how the Skype process will work is being conducted by Tim Noakes's team, reports News24's Tammy Petersen. "I've been on LCHF for about 10 years, and I will never go back. I am 69 and far healthier than most of my friends, despite having mitral valve problem," says Liz. "There are big corporations that stand to lose billions if he is proven right. My wife and I use his healthy eating and it works," says Johan. "Banting work perfectly for my whole family. My view on the whole thing is, the people on the other diets are upset because they are not selling their products anymore. And everything in shops is Low fat. You can’t get any normal items anymore. I have not felt this good in a long time...," says Pieter. Another News24 user says: “Any diet that discourages people from eating fruit is just not good at all!!! “Did God make a mistake when He introduced mankind's diet of grains, fruits, nuts? There was no high fat there...! The hearing takes a five-minute break. Adams asks Mapolisa if his concerns revolve around witness tampering, reports News24's Tammy Petersen. Mapolisa confirms this. Adams responds that this could happen anywhere, even if he [the witness] is present at the hearing. “My hubby and I have been on the LCHF way of life for 9 months now. “I have reduced almost 20kgs and we are both feeling the best/healthiest that we have for a long time. Mapolisa insists that Tim Noakes would have to pay to get the expert to South Africa to testify. "Respondent is having trouble finding experts in South Africa to testify," Adams points out. The Canadian expert also does not want to come to the country to testify, she says. "Who is going to pay and convince the expert to come to South Africa to testify?" asks chair Advocate Joan Adams. "The best option is to refuse this application and that the witness be physically present," says HPSCA Advocate Meshak Mapolisa. Who is this Professor Stephen Cunnane that the Noakes team want to testify? "Since inception of HPCSA, this is the first time such an application has been received. "It should not be granted and procedure should be followed," the council argues. Complainant objects to video testimony as it goes against regulations which state all oral evidence must be taken under oath. A witness must be physically present, complainant argues. Evidence by affidavit though is admissible. Van der Nest closes his argument - which has taken more than half an hour - for allowing the video testimony, News24's Tammy Petersen says. The HPCSA hearing has spent the last 30 minutes debating whether a video conference should be held to display evidence in the case. “Banting did not work for me, I was getting fatter, low testosterone & libido. I have since then changed to a plant-based diet, cut all meat, dairy, processed food and so on. 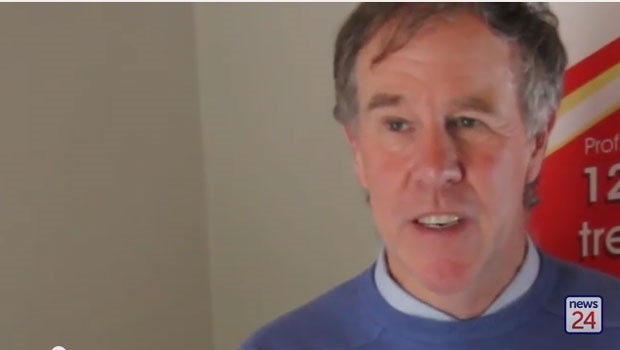 Noakes's legal representation says South African experts have been reluctant to testify in this case. Michael van der Nest SC representing Noakes, asks that Cunnane be allowed to give testimony via video. Maybe banting isn't your thing and your love for all things carbs is too much. I mean, just look at that picture of the lasagne at the top of this Food24 article. It's so beautiful. Here are seven pasta recipes that will make Tim Noakes weep. Penny Meakin tells us: “This lifestyle works for me and I am in full support of Tim Noakes.It is all about eating real food and rejecting processed food with all the chemical additives, refined carbs and all the sugar. "That sort of advice just makes so much sense. This vilification of Tim Noakes can only be because Big Food sees him has a threat, and the ASDA is under the influence and are funded by Big Food. "He is only the South African voice – there are many big voices around the world now that are trying to turn the tide of bad nutritional advise which was started a few decades ago and has led the world down the path to ill health. News24 user, Stan Webb tells us of his positive experience with the Noakes diet: "I am diabetic and have been struggling to get my sugar below twelve for a few months. "I have been diabetic for about 6 years and was always able to keep it under control. Increased doses of insulin twice daily was not helping, I was up to 60ml in the morning and evening. "From the first day I started banting, my blood sugar levels started dropping dramatically and after three weeks, I am using 32ml as opposed to 60ml of insulin and my sugar is around seven again.I have also lost 5kg. This certainly works for me." Real Meal Revolution, Managing Director Jonno Proudfoot: "We stand behind Prof Noakes in his right to (informed) freedom of speech and to ensuring that information is available to all who need it. “There is more than adequate scientific knowledge out there to support a LCHF diet for children and to attempt to silence Noakes is not going to stop consumers from making their own decisions as the information becomes freely available." Health24 sat down earlier this week with Prof Noakes and he told them why he believes the LCHF diet is safe for everyone, including children. "All humans should eat real foods with less carbohydrate and more fat and protein – and all the other nutrients found in nutrient-dense real foods – and avoid processed foods," he said. Referring to the tweet from last year that will see Noakes face a two-day hearing by the HPCSA, he said: "The choice between health and ill health begins with our infants as soon as they’re weaned." A study released by Stellenbosch University in July 2014 found that Tim Noakes's diet was no better than a balanced diet, reported Food24. According to the article about the study, the evidence published in the international PLOS ONE journal showed that the Banting lifestyle "resulted in weight loss by restricting caloric intake – not by lowering the amount of carbohydrates consumed". The SU study reviewed the result of 19 international scientific trials. As part of these trials, about 3 200 participants were placed either on low-carbohydrate or balanced weight loss diets. The study measured the diets’ impacts on risk factors related to heart disease, diabetes and cancer. The prof has arrived at the hearing. If you are on the banting bandwagon, here are a few recipe ideas from Food24 for you. For Noakes's sake, I hope they're wheat-free. So the HPC people are serving muffins at Tim Noakes's hearing.?????? A hearing at the Health Professionals’ Council of SA with Professor Tim Noakes, who promotes a low carbohydrate, high fat lifestyle, will continue on Monday following a pause in proceedings in June. The hearing is after a complaint was lodged by the Association for Dietetics in South Africa’s (ADSA) president Claire Julsing-Strydom. The complaint centres on a tweet from Noakes to a mother who asked what foods she should feed her baby. Noakes advised the mother to wean her child onto LCHF foods, which he described as real foods.